The New York Stem Cell Foundation (NYSCF) is an independent organization dedicated to accelerating cures and developing better patient treatments through stem cell research. Since its founding over a decade ago, NYSCF has supported and pioneered innovation in science. The foundation represents a unique model of research, what our client describes as “an independent, largely privately funded foundation and safe haven laboratory.” The high-risk, high reward research funded and conducted by NYSCF affiliates is progressive in nature, as is the foundation’s organizational structure and programming; the NYSCF does not hesitate to step outside of conventional paths toward success in pursuit of ambitious goals. Firmly established in its field and globally recognized and esteemed for its accomplishments, the NYSCF needed a new home to bring together its various research capabilities, technological resources, and advocacy platforms. ThinkForward secured funding through a wealth management bank group to make leasehold improvements and to purchase equipmentfor a $220M project involving two floors of the expansive 3rd floor of a commercial mid-rise building located in Manhattan’s Hell’s Kitchen neighborhood. 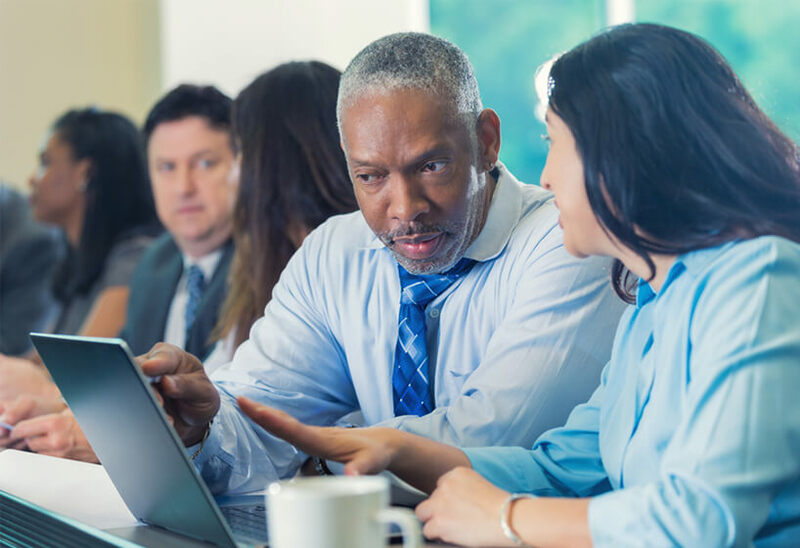 The NYSCF needed a financial adviser that could strategize with a similar bold, forward thinking, all-encompassing outlook on financial matters. The leasing and subsequent conversion of the space to meet laboratory and administrative uses almost doubles the foundation’s previous combined spaces. We structured the financing to include a capital campaign that secured an additional $20M from our client’s donor base. NYSCF’s new home is central to an existing medical research corridor that runs the full length of Manhattan and includes top-tier medical schools, cancer centers, and advanced research facilities. 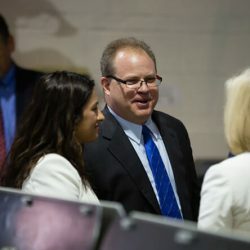 Prior to establishing the new laboratory and administrative space, the foundation had leased facilities in multiple locations throughout the city, creating a disconnect internally among staff and externally with partnering organizations. 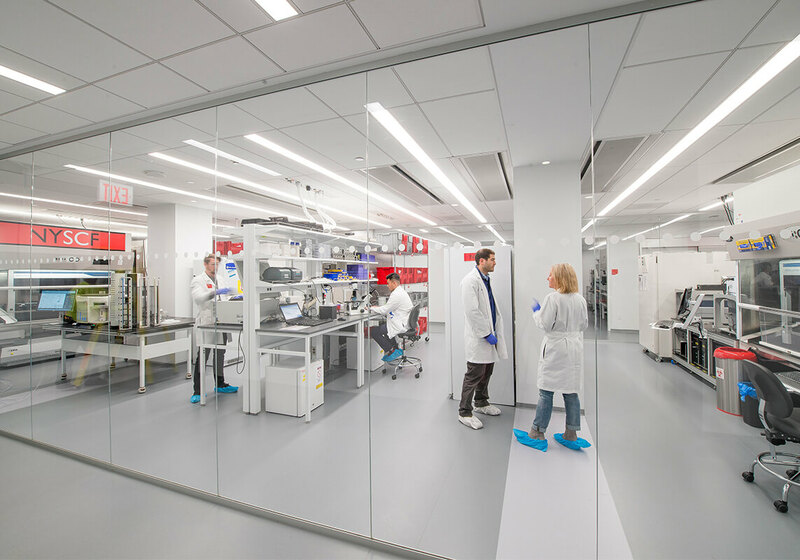 Now, consolidated under one roof on West 54th Street is NYSCF’s “Commons” and its Research Institute, which is the largest privately funded, independent stem cell laboratory in the United States. 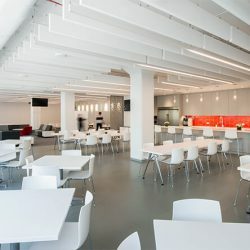 The former includes meeting and lecture spaces capable of accommodating NYSCF’s community of more than 160 researchers and staff, as well as guests representing global businesses, leading academics, and international leaders. The new facility was an initial step toward creating a unified physical presence for an organization that performs multiple roles, from pursuing advanced stem cell research, irrespective of politics, to building a broad constituency with global reach. The financing of the new center necessitated a similar coalition of public and private funders, as well as conventional and alternative funding sources. ThinkForward’s financing strategy aligned with the NYSCF’s commitment to retaining independence and, therefore, flexibility in financing. "Sunil and his team of consultants and industry experts advised us on how best touse our financial resources for our capital project. Together, we developed a financial plan to establish our new stem cell research facility and headquarters that combined our two locations and expanded our research capabilities. This state-of-the-art facility will enable us to fulfill our mission of accelerating cures and treatments for the major diseases of our time."